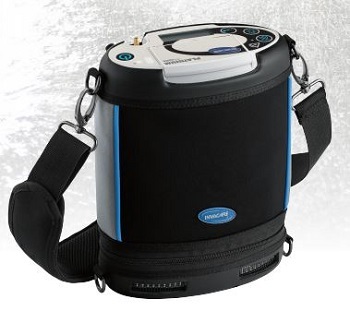 The Invacare Platinum Mobile Oxygen Concentrator was designed to pass the tests of daily life—weathering varying climates and daily bumps. We brought in design elements to provide simplified maintenance, faster serviceability, and better design to help you weather everyday life, too. Invacare Sensi-Pulse technology adjusts automatically to deliver the right amount of oxygen.